Today is a selfish day, full of desires that are just for me. I’m a geek. I admit it. I adore fandoms like Doctor Who, Batman, Harry Potter, Supernatural, Kim Harrison’s Hollows series, etc. I have sat around and discussed the emotional make up, journey and evolution of various characters and when on the screen, how those were portrayed. I’ve spoken about these characters like real friends with probably more detail than I can with some of my actual friends. And I’m far from alone. The internet and world are full of people who are equally or more so immersed in these characters and worlds. As writers, we create worlds and hope to fill them with true characters that our readers will feel real honest emotion about. I have seen it happen time and time again. Even with my own husband author J.P. Sloan. He gave some people a short story of his in the same week the last Harry Potter was released. One of those who read it had more of a reaction and shed tears for his characters more so than Harry Potter. 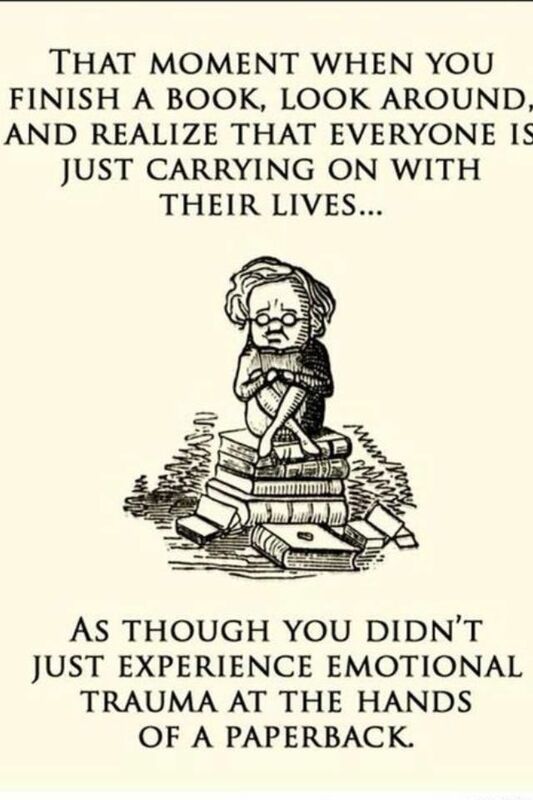 I have had to put down books… okay okay, sometimes thrown down books, when a favorite character leaves us. An honest emotional reaction. As story writers, isn’t that what we are truly aiming for? In fact, by the very definition of the thirds purpose of writing that fits fiction writers, to “entertain” doesn’t just mean to make someone laugh, it means to stir them to emotion in some fashion. Thus, as I am wrapping up this belly of the beast and climax for my latest work in progress, let that be my windmill to aim at. I shall fight the good fight and hope to provide a character with enough dimensions that someone reading it will actually feel a true emotion for her. This entry was posted on Thursday, March 20th, 2014 at 12:23 pm	and posted in Update, Writing Process. You can follow any responses to this entry through the RSS 2.0 feed.